I decided not to print every single corner because there simply isn't going to be any yellow showing, and I figure it will be easier later on if I don't have to perfectly line up the really dark colours on top of it, and still have some bright yellow poking through to ruin the whole thing. So I'm going to easy route (I hope). The nice thing about doing so many layers is that I don't feel I have to get a perfect print every time, because chances are most of it will be covered or obscured, so no one colour is the linchpin of the entire piece. Takes the pressure off a little. I noticed that there was a little build up of ink of the corner of the last print, so I grabbed a spare bit of paper and blotted it. Without thinking, it was written on with pencil, and that transferred into the ink, and from there on to this print. No big deal, it won't be seen by the time the rest of the layers are on, but certainly and amusing and potentially useful bit of information. For future reference? I'd like to give one of these away when I'm done! Leave a comment on any (or all, for extra entries) of the posts related to this piece for an entry. I'm going to draw it when it's finished. Going the easy route will hopefully also make the process faster. Good luck and can't wait to see how this one turns out! Yes, please keep us posted! Love what you've done so far. So, I would have covered the whole plate with the first colour - wasting ink and effort and maybe making problems for myself. How valuable it is, to see other people work... to hear others' viewpoints and see the results. I am so grateful that blogging has given me the chance to "meet" so many clever and talented artists and crafts-people! 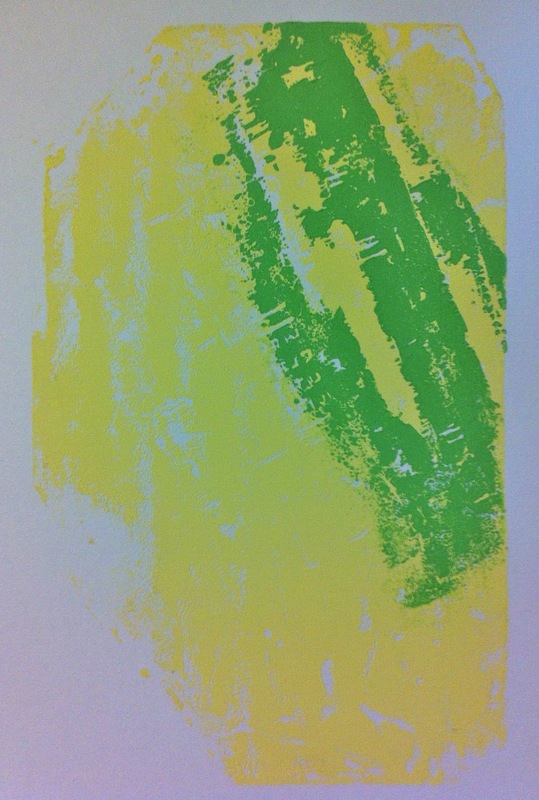 Excited about my print-making course at the end of January!! 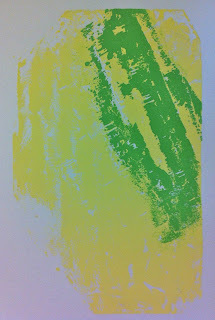 I want to try lino-reductions too!